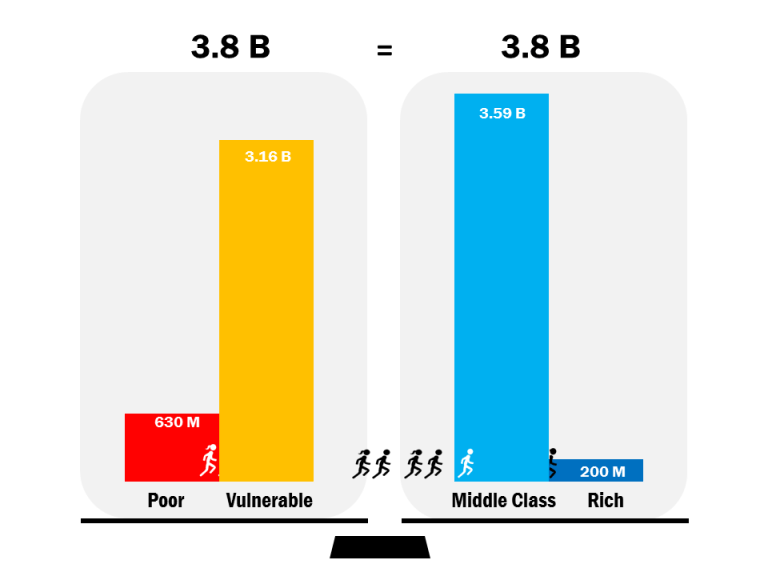 Five people a second are entering the middle class. 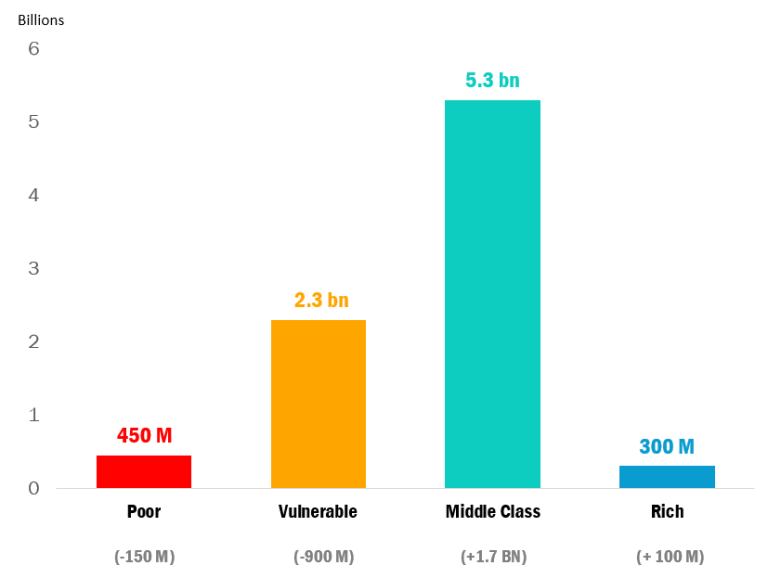 Number of people who are poor, vulnerable, middle class, and rich worldwide. Figures in parenthesis indicate the increase/decrease in the number of people in each category by 2030.